We’ve all heard the old cliche, “If it’s not broken, don’t fix it.” Here’s the thing though… just because something works doesn’t mean that something else can’t work better or more efficiently. The idea of looking for and implementing a new TMS can seem like a daunting task but Freightview couldn’t be any easier. Setting up your Freightview account takes 5 minutes. After that, our team does all of the heavy lifting and will have you ready to quote and book your shipments within 24-48 hours. Freightview is extremely user friendly and pretty closely mimics the process you are probably used to using. There are zero upfront costs or integration fees with Freightview. We offer you a no strings attached free trial-- we only want you subscribe to our platform if it is really going to work for you and your business needs. But multi-carrier transportation management systems are pricey! They can be, but Freightview cultivated a solution for companies that can’t or don’t want to spend a small fortune on managing their freight. Our prices start at a flat $99 a month and we negotiate that based on your shipment volume/needs. 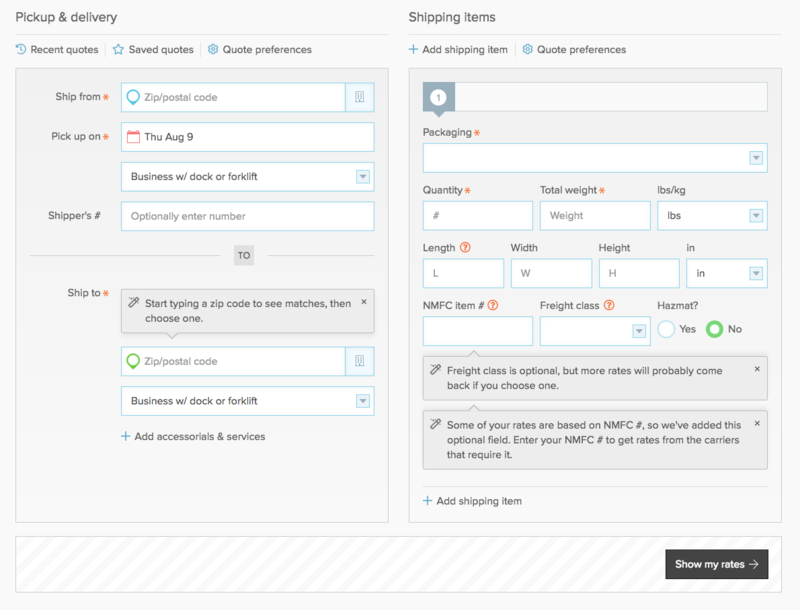 We’re very transparent with our pricing, and you can view it in detail on our pricing page. We’re here to address any questions or concerns you might have before, after and during your trial. There’s truly no risk, and very little time commitment to give us a try.